I run across helpful tools every now and then and in this week’s episode I share with you my favorite tools that I use in marketing. The tools that I mention in this episode help you to either market more efficiently, engage better or make your life easier. I’m constantly amazed at the really high quality free tools that get put out there that you can use whenever you want, you just need to know what tools are out there! Follow allows you to see a high-level overview about any site, across a variety of sources. Data that you can view quickly includes: Traffic Estimates, Search Engine Optimization, Search Engine Marketing, Display Advertising, Affiliate Marketing, Contextual Advertising, Twitter Mentions, Web Mentions, Blog Posts, Whois, Reverse IPs. This tool lets you do a bunch of research really quickly and lets you keep tabs on any competitors, especially in paid advertising. Snip.ly is a URL link shortener that when clicked offers a customized call-to-action snippet at the bottom. What it lets you do is curate content really quickly. Curation is when you find something that would be beneficial to your audience that is from a source that isn’t your own. By adding a call to action to this content you can potentially convert clients. If you ever do hangouts you’ll want to check out this tool called Lower Third. Lower Third lets you easily add a graphic banner or overlay anywhere on the screen of your hangout so that you can brand it. It makes it look a lot more professional. I think hangouts are great for educating clients live, plus it drives clients to your Youtube and Google Plus page. Sumome.com is a suite of 10 tools created by Noah Kagan and Appsumo.com that help you to convert more of your traffic into opt ins. They have tools that range from opt- in pop ups to heat maps and a bunch of really amazing products. This logs in to your social accounts and sees and suggests things that would be beneficial to post bast on your community. IT is super cool For example it gave me an article that I could post about which was the dog eating festival. This tool combined with Snip.ly is a really great content curation strategy. 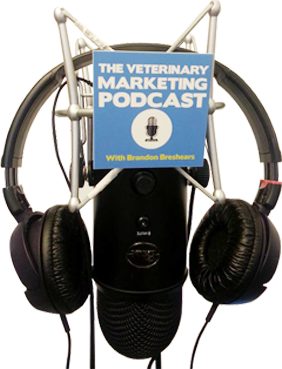 This is the staple for measuring marketing at your veterinary practice. If you aren’t on Google Analytics please get this on your site. Even if you have an analytics suite through your web developer you need to be tracking what is happening!!! Canva is basically like a really easy to use version of photoshop for creating images. If you want to easily create native image sizes for content then this is a great tool! If you go here and put your website in, it will give you a SEO overview on things you need to work on and things you are doing well. It is pretty cool because it gives you a really broad overview, so you can use it to see if you have any large problems. Be warned you will be pitched SEO services!